They're only seen as tools. 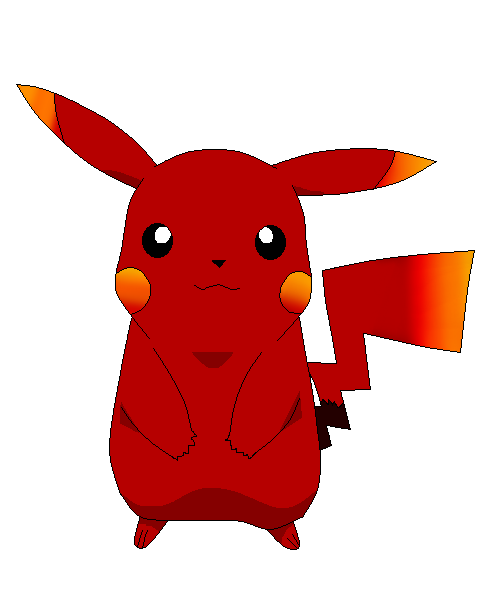 Coming to this realization, a lone Pikachu, one of the many "Rocket Chu" that have been subject to Team Rocket's cruel experiments, decides to escape. Breaking his fellow Rocket Chu out, he leads them to the safety of the Viridian Forest. Now fugitives, the escaped group must find a way to survive in the outside world while avoiding the many grunts and Pokemon slaves of Team Rocket. Life won't be easy. Predator Pokemon may attack. Team Rocket grunts may be around the corner. Rocket Pokemon will be searching every inch of the forest. Trainers may attempt to capture a member of the group. Food, water, and shelter might be scarce at times. Sickness and death could happen at any time. Can the Rocket Chu group escape Team Rocket's detection? Can they learn to live together and get along? Will they survive in the wilderness? Or die trying? Personality: He tries to stay calm and level-headed, but he tends to become nervous if he feels he's being pressured into something. He doesn't view himself as leader material but will jump in to protect his friends if they're in danger. He views the other Rocket Chu as his family and will fight, even to the death if he must, to protect them. He can't bring himself to kill others and large amounts of blood frighten him. He's generally a kind and caring guy who's secretly terrified of losing control of himself. History: He was born and raised in the Viridian City Team Rocket Base. He performed quite a few thefts before he was admitted to the experimentation wing of the base. There, he was subjected to cruel experiments that tampered with his electricity. Team Rocket scientists fused the soul and mind of one of their deceased projects, Dark Mew, into Thunder's body in hopes of reviving it. Thunder didn't initially know about Dark Mew, frequently called Dark, until Dark started to talk to him in his head. Thunder has slowly come to realize that Dark is growing stronger and may one day suceed in taking control of his body. It was Dark who told him that they were just tools to Team Rocket, leading to Thunder freeing the other Rocket Chu and fleeing to Viridian Forest. Other: He's smaller than normal Pikachu. Personality: R-Dedenne is a quiet Pokémon. Silent even. She's not one to speak much, at all really. She's much rather be silent than speak. She likes to lurk around in the shadows, waiting, watching other Pokémon in the base. When out, she uses her small size to get in and get out unseen. For the most part. She's not one for making friends. She feels as though they are a waste of time and space. She's rather be on her own than be with other Pokémon, as she feels that she's stronger alone than with a group. Though, she will if needed, she'll join a group for a mission, even if she feels it's not needed. History: Supposedly, R-Dedenne comes into play after the death of the great Rocketchu. After the fall of their beloved evil Chu, the rocket scientists wanted to create once again, another evil electric rodent. What better than to advance the species as well. They wanted, something new. And so they created R-Dedenne. When news got around the base about this new 'evil rodent', they just laughed. "Why a Dedenne?" "It's too cute." "It's too small!" "Basically it's a weak choice of Pokemon! ", the grunts would all scoff. But of course they were from Kanto, having no idea about how it was also hiding the newest type, fairy. Being part of this type, meant it would be immune to the great powers of the dragon type. That really spun the heads of the grunts when they watched the little rodent take down any dragon type that was thrown at her. And thanks to the scientists newer upgraded technology, they were able to give R-Dedenne more capabilities than the original Rocketchu ever had. Along with these greater capabilities, R-Dedenne was much faster, stronger, and demented. Personality: He's a patient and kind guy, though he's prone to panic if he's cramped in small spaces or feels too crowded. He's a fatherly figure to some of the other Rocket Chu. He doesn't like thunderstorms because the loud noise scares him. He's willing to fight to protect his friends and family from harm. He has many fears but keeps most of them to himself...or tries to. History: He was kidnapped from his nest as a Pichu and was experimented on by Team Rocket. Personality: Kind, caring, and helpful. 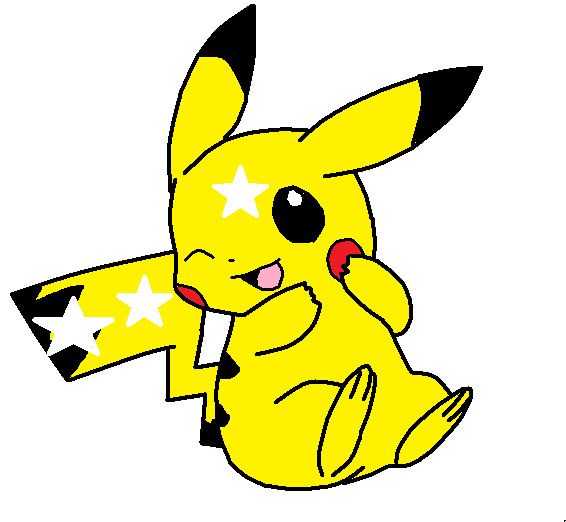 A good-hearted Pikachu, that will help his friends whenever he needs to. 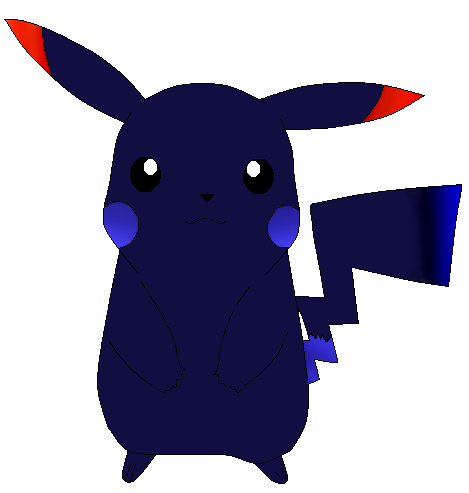 History: Like most, if not all the RocketChu, he was experimented on, and got a dark-type DNA in him, and it changed his fur color. 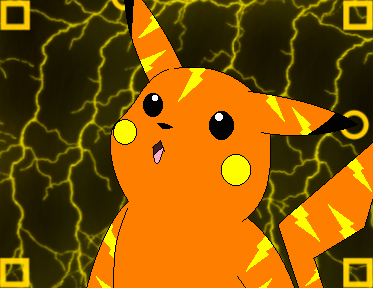 Now he's part Electric/Dark type. Personality: He's a bit of an old school guy, being older than most of the group. He doesn't like technology and remembers a time when technology was just beginning. He's quick to smack unruly Rocket Chu with his tail and doesn't tolerate bad language in his presence. He treats everyone with the same respect he expects to recieve. Sadly, he's treated as the "weak old man" of the group. He's tough to beat, though, having lost very few battles in his lifetime. He doesn't like to run much due to his old age. He has a ferocious temper. History: He was stolen from his trainer and subjected to Team Rocket's experiments. Personality: He's usually quiet, keeping to himself but offering advice if he thinks others need it. He's a big worrywart and doesn't enjoy fighting, wanting to talk everything out instead. He can be pretty shy at times, especially around female Rocket Chu. History: He was born and raised at the Viridian City Team Rocket base. They performed experiments on him, turning him blue. Personality: A really positive chu. Cube is usually sassy to strangers but comes to like them when she finally gets to know them. History: Cube was stolen from Team Rocket from her homeland after her little brother got massacred by a huge Spinnerack. She was cloned afterwards and her typing of Dark and Fairy was accidental but Team Rocket kept her since she could help. Love Interest: No, but Thunder has a crush on her. Another Pikachu does too, Arc, but he's not in the group. Other: Cube doesn't really battle. She seduces male Pokèmon and robs them blind and in one or two cases having to kill them. Appearance: Looks just like a normal Absol, only his fur is more ruffled in appearance and his head-scythe has a few nicks in it. He wears the Team Rocket cap on his head at all times. The collar around his neck is solid black with long silver spikes protruding from it, a red metallic R-shaped tag attached to the front. Personality: He's cold and unfeeling, trained to be nothing more than a killing machine. He talks and acts much like a robot, following Team Rocket's orders without question. He believes his purpose in life is to ensure Team Rocket dominates the world and won't hesitate to kill anyone who says otherwise. He's blunt and gets straight to the point when speaking. He despises cowards and slow minions. He doesn't hold any regrets about anything. History: He was born and raised at a Team Rocket base in Goldenrod City. He was transferred to the Viridian City Team Rocket base to serve directly under Giovanni. He is currently ordered to track down the Rocket Chu and bring them back...or terminate them all to avoid the police getting their hands on the Rocket Chu. Other: His eyes tend to glow red when he's really angry. Personality: Cruel, manipulating, and heartless. He is without mercy. He does whatever is ordered of him all in the name of serving Team Rocket. He cares little about others' feelings and tends to be selfish beyond serving Team Rocket. He delights in hurting others and is a bit of a mad scientist, taking prisoners frequently just to torture or experiment on them. He tends to keep to himself and hates it when others interrupt him while he's working. He is easily the most mistrusted, suspicious, and downright deadly Rocket Pokemon in the Viridian City Team Rocket base. He isn't above kicking others while they're down. He's very smart and independent, despising it when restrictions or limits are placed upon him. Betrayal is his most favored method of operation. He doesn't enjoy being experimented on but allowed only two experiments to be preformed on him. He has made full use of them ever since. History: He was raised in the Viridian City Team Rocket base and trained until the day he evolved into a Pikachu. Due to his increased intellect, he frequently refused to be experimented on. When an offer arried that would allow him to temporarily shift between his previous evolved forms arose, he accepted without hesitation. 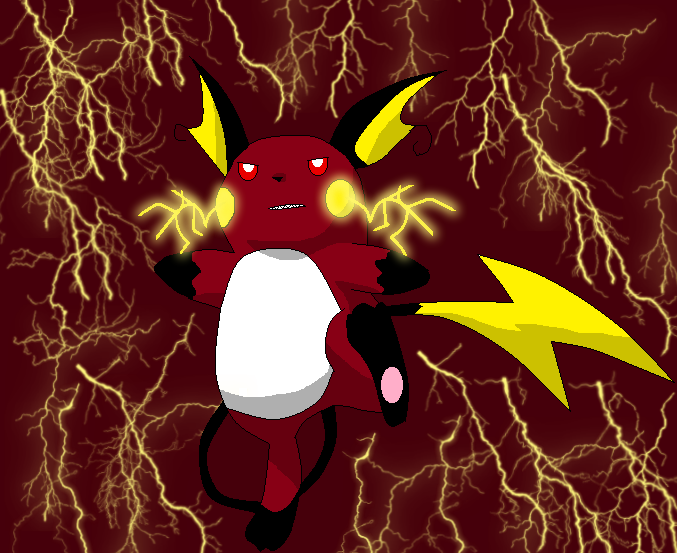 Once he evolved into his final form, Raichu, he became a spy for Team Rocket. He makes full use of his new powers, shifting back into his Pikachu and Pichu forms in order to infiltrate enemy groups and gain their trust before inevitably handing them over to Team Rocket without a care as to the group's fate. Later on, he was offered a chance to become a cyborg-like creature. He accepted and was transformed, his outer appearance remaining the same while his innards were replaced with machinery. 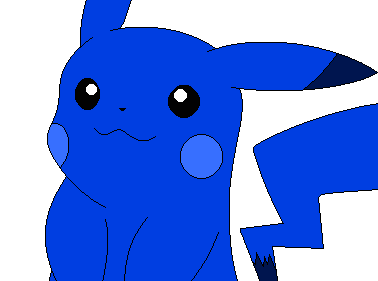 He became a mechanical Pikachu with a normal outside appearance. Nobody knows of his mechanical upgrades. Other: If wounded, a bit of his mechanical inside might be seen. The nanos within his fur quickly heal the wounds, though. His blood is black oil. He tends to have the smell of gasoline about him. Appearance: He looks like a normal Alakazam but with a long, thin pink scar going vertically across his left eye. He carries his two spoons with him everywhere, refusing to put them down. Personality: He's very smart and has an air of superiority about him. He views everything, including humans, as beneath him. He simply cooperates with Team Rocket because he wishes to learn all there is to know in the world. He's prone to giving the cold shoulder to others and can be quite rude if provoked. Enraging him is not a good idea. He only gives information or assistance in exchange for something equal to the value of what he's being asked for. He believes those with compassion and goodness are weak. Traitors are something he despises the most, especially the Rocket Chu colony. Killing others doesn't phase him one bit. He remembers everything he has learned and has a photographic memory. He tends to meditate in his spare time, looking into the past and future. He knows many secrets about his fellow Rocket Pokemon. History: He was stolen from his trainer by Team Rocket a long time ago. He was trained to his maximum strength and has since remained at the Viridian City Team Rocket base. He is easily the oldest Rocket Pokemon in the whole base. Not even the higher-up grunts know exactly how old he is. Appearance: He looks like a normal Pidgeot except that his feathers are more ragged. Feathers tend to tear loose from his wings when he flies around. Personality: He's reckless and wild, jumping into any and every situation with little to no plan in mind. He lets fate deal him a hand and goes with the flow of things. He enjoys fighting and tends to be overconfident, but he doesn't let this blind him. He's a master of throwing insults at others, not caring for rank. He's well-known for his vicious temper tantrums if he happens to lose a fight he was certain should've been his win. If he deemshis opponents strong enough, he'll leave them alive so he can challenge them again in the near future. He isn't interested in fighting weaklings, viewing it as a waste of his time. History: He was the leader of his flock as a Pidgeotto when he was captured by a trainer. He was later stolen by a Team Rocket grunt. Unable to find his flock and furious that he was torn from his forest home, he grew to hate others. After an encounter with a few other Rocket Pokemon, he grew envious of their power and vowed to be the strongest. After evolving, he's been fighting nonstop. He still holds onto the thin hope that he may one day chance upon his flock, though he hides this from everyone else. Appearance: She looks just like a normal Lopunny except for her cream fur is black. She wears a thin red open vest. Personality: She's snobby and spoiled, having always gotten everything she's ever asked for. She's the favorite of Team Rocket for her cute, yet deadly, appearance. She can easily be your friend and then stab you in the back once she has what she wants from you. Betraying others is easy for her because she doesn't trust anyone to begin with. She tends to laugh and act childish during battle, teasing her opponents relentlessly. She's one of the fastest Rocket Pokemon, making it very hard to actually hit her with attacks. She has a strange fear of small, dark places. She has a child-like fascination with bubbles and shiny objects. History: She was captured in Eterna Forest by a Team Rocket grunt and trained to be a fighter. She was later experimented on, combining her Normal-type DNA with that of a Fighting-type to increase her strength. She moved up the ranks quickly once she evolved, mainly using betrayal and deceit to reach her current position. She's current trying to get to a higher position of power, wanting to be at the top of the Rocket Pokemon chain of command.